A little bit of history It’s Winter Solstice today, so Happy Saturnalia/Yule/etcetera to all our readers. One of the traditions on both solstices is to climb a tall hill in order to watch the sun come up, and if you were doing this in Japan the tallest available would be Mount Fuji, standing at 3776 metres high, which seems a perfectly reasonable excuse to review the Japanese pen named after it. They’ve been making a whole series of models named the #3776 since 1978, so it’s about time we got around to it! There’s a nib and a half – or two and half tines, at least! How it looks That all depends upon what edition you opt for! The original version had one of those sci-fi style ribbed bodies supposedly intended to avoid sweat building up on your hand as you write, but we haven’t managed to bag one of those yet. More recent versions, labelled as part of the ‘Century’ series, have an inner slip cap to prevent the feed drying out but also have much more visible differences in the colour and transparency of the plastic (and, more recently the trim). 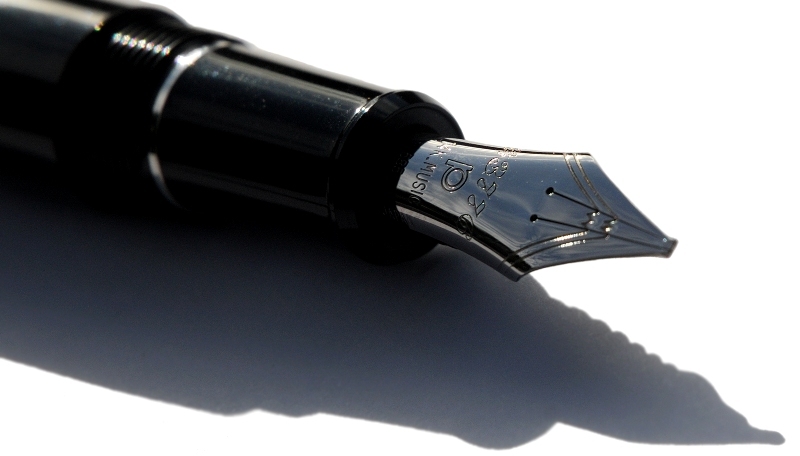 But all of them look professionally-executed and are certainly not going to shame a posh fountain pen collection – we’re a bit split over which looks most gorgeous, but one of the Francophone Chartres or Bourgogne numbers is probably going to claim the prize. How it feels Not enormous, but not too small either- this is just about the right size of pen for everyday writing, for most of us. As a mostly plastic pen it’s not too heavy, and what weight there is pulls down where you want it to, at the business end. How it fills Either Platinum’s own cartridges (also available with pigment ink, which you can use fairly safely in the Century versions), or a simple and reliable converter. 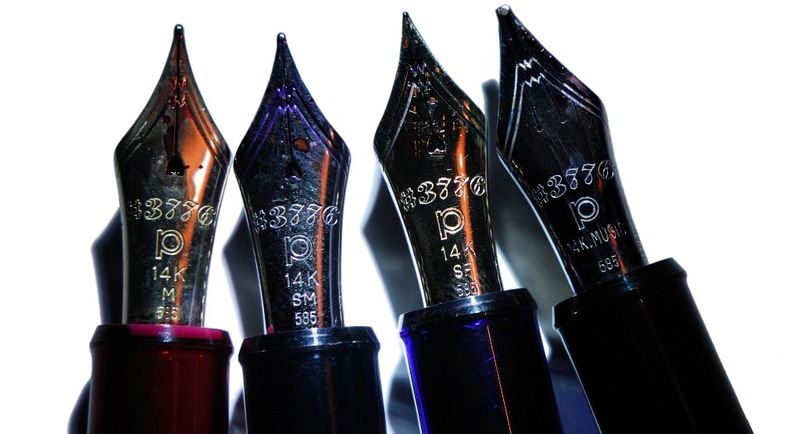 Crucially, how it writes… That all depends on which nib you aim for – and there’s quite a range. 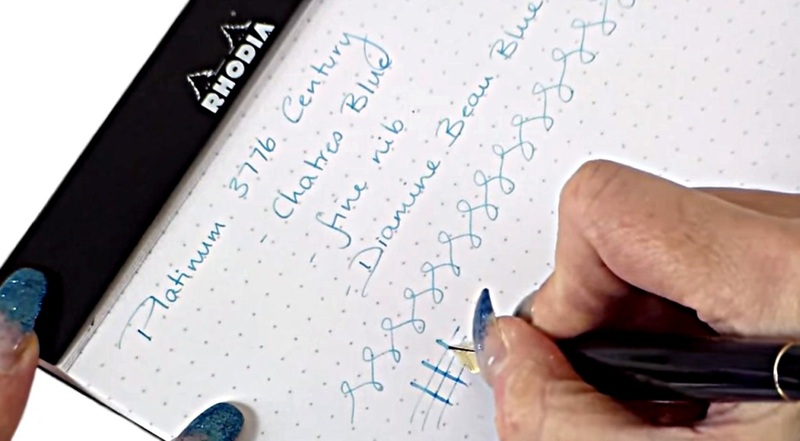 The standard F, M and B gold nibs are all pretty good as long as your luck holds; it is not completely unknown for a scratchy one to get past quality control, but as long as you buy from a Platinum-recognised dealer replacements are usually handled swiftly. If you have a taste for the more exotic, the SF and SM nibs are nicely springy (and offer a little bit of line variation too), and the #3776 offers what is by common consent the best Music nib there is, its three tines supplying enough ink to scribble all over the place with – or even compose that symphony you’ve been meaning to get around to if only you could find the right pen, presumably. 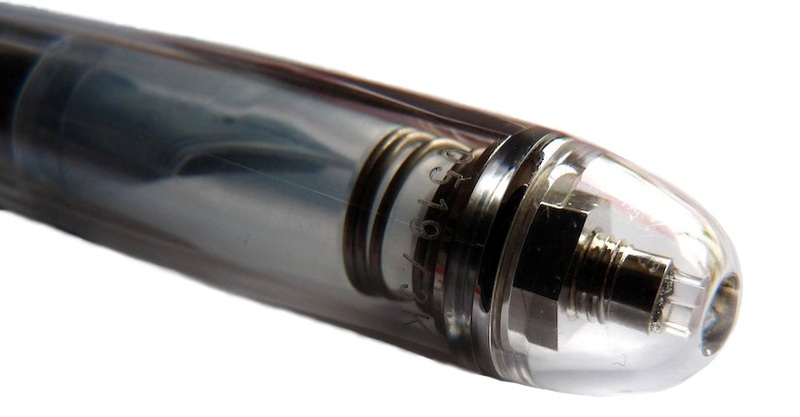 The internal cap is spring-loaded to provide an airtight seal around the nib and feed. Pen! What is it good for? The nib and trim options are so extensive that the uses range all the way from artistic accoutrements to business-friendly ‘daily drivers’. Despite looking positively dainty in some guises, the #3776 is quite robust and will survive the travails of popping in and out of the briefcase if you want something a bit fun at work. Have you really not started lusting after the music nib yet? VFM Reasonable, given the interesting range of nibs and thoughtful execution of the cap and body. These are not the cheapest pens out there, and declining to provide any non-gold nib options does limit the potential to provide a more affordable way in – but then again, at least one major Japanese manufacturer will try to charge you twice as much for a pen of the same quality when it comes to putting nib to paper. If this isn’t quite your cup of tea, but almost… Then it may be worth a look at the #3776’s slightly bigger sibling, the President, which offers the same robust quality, even if the nib range appears more limited at present. 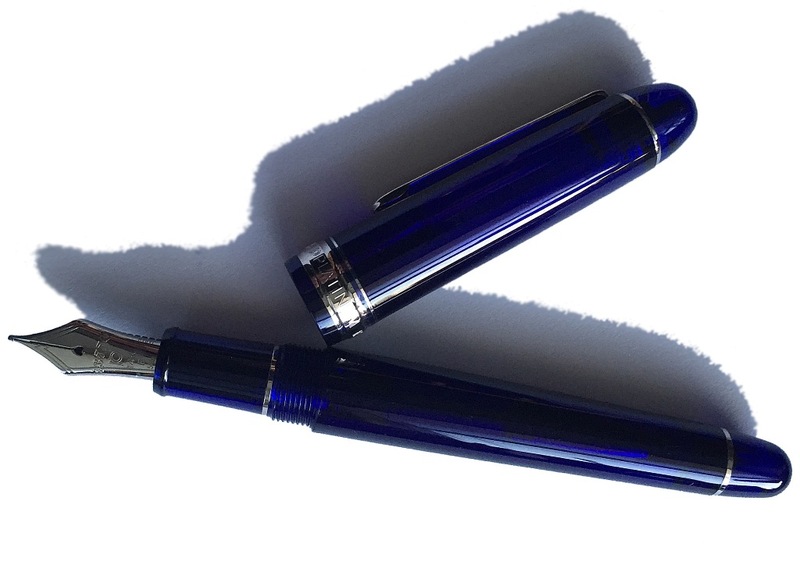 Or, if you like this size and just want to consider other Japanese pens, you could do a lot worse to consider the Pilot Custom 74. Now that’s just showing off really, isn’t it? Our overall recommendation If you’re a fairly serious fountain pen enthusiast, your collection is arguably incomplete without one of these (although four is a bit excessive, naming no names!). Explore the range of nib options carefully and then go for it; we’ve got seven or eight of them between us… that ought to give you a clue. Where to get hold of one There are some decent discounts from Japanese direct sellers, but if you’re unlucky and get one of the scratchy nibs you may not have much recourse. The Platinum officially-recognised retailer in the UK is Cult Pens, and on this occasion we’d honestly advise starting your search with them. Thanks to Cult Pens for providing some of these pens at a discount (and swapping a few nibs around) to allow us to cover the full range.